Retail box is damaged. Mural should look perfect when hung. 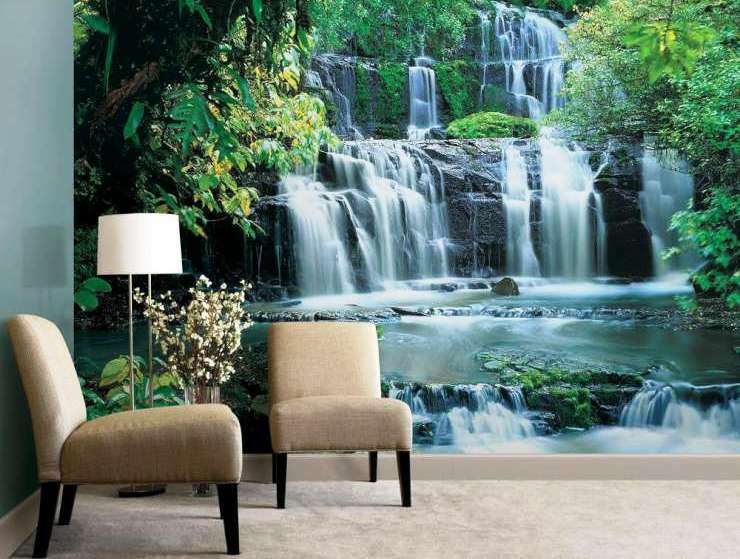 This Pura Kaunui Falls wall mural brings the natural splendor of the grand multi-tiered New Zealand waterfall to life. 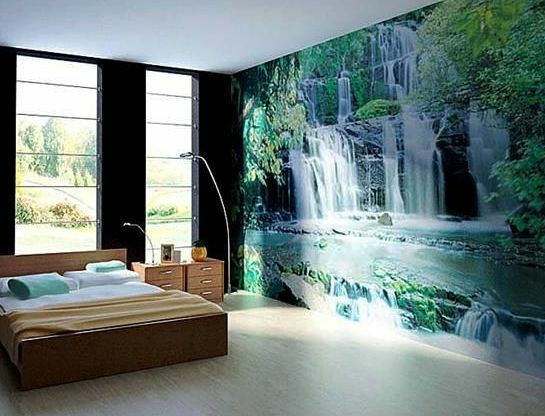 With photorealistic quality, this giant mural fills a wall with a mesmerizing scene of cascading water, set in a lush forest. 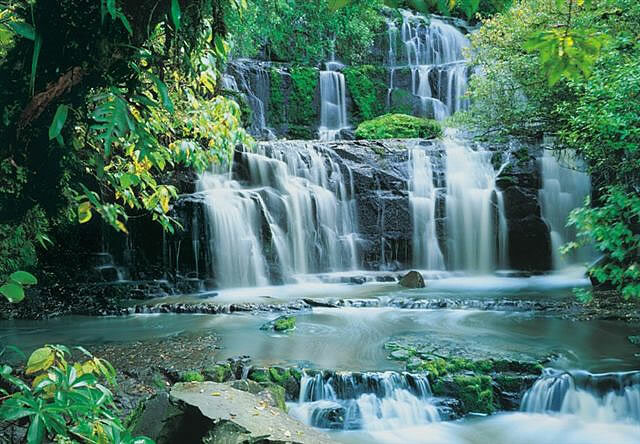 The beautiful Pura Kaunui Falls mural is 12ft 1in Wide x 8ft 4in High and is simple to install. Each of our wall murals gives you an expansive view that'll make you feel as though you've traveled miles and found the serenity of the great outdoors. All wallpaper murals come in separate, easy to install panels. Install by simply pasting and smoothing like wallpaper. Whether they are scenic or whimsical, wall murals and wallpaper murals can add drama and interest to any room in your home or office! Our highly detailed wall murals emphasize this illusion by using digital imaging and artistic lithographic printing. Wall murals have become the most popular and affordable way to decorate. As a major wallpaper retailer, our purchasing power allows us to pass on up to 85% savings.